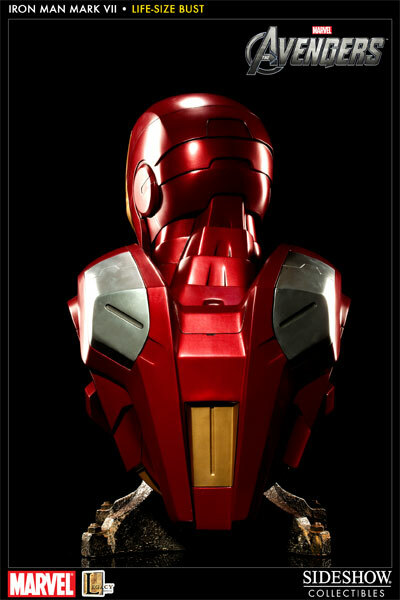 Sideshow Collectibles and Legacy Effects have assembled to present the Iron Man Mark VII Life Size Bust from the smash hit movie, The Avengers. 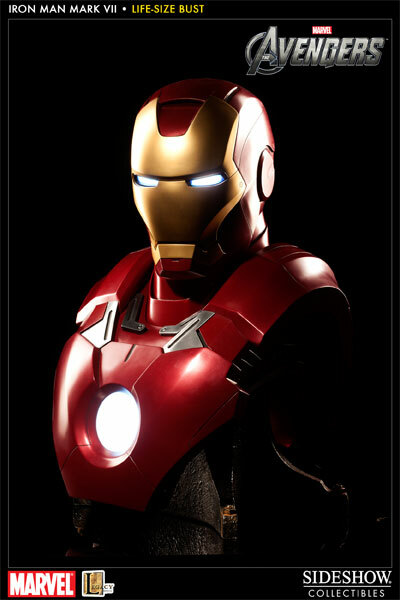 Legacy created the most incredible effects work in The Avengers, including the all-new design of Stark’s newest Iron Man armor, the Mark VII. 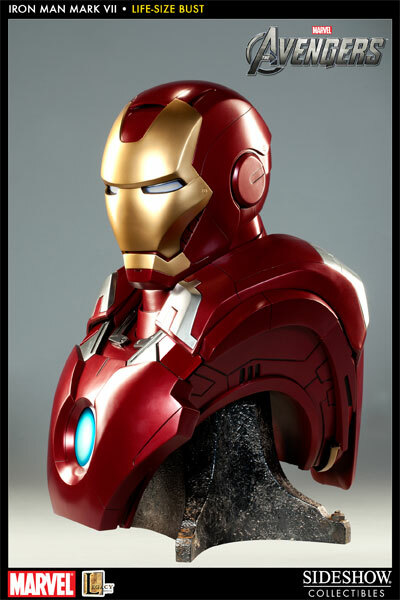 Created from the original molds developed for the film effects work, this impressive, full scale bust measures a full two feet tall and is individually hand-painted and finished with meticulous, film-accurate attention to detail. 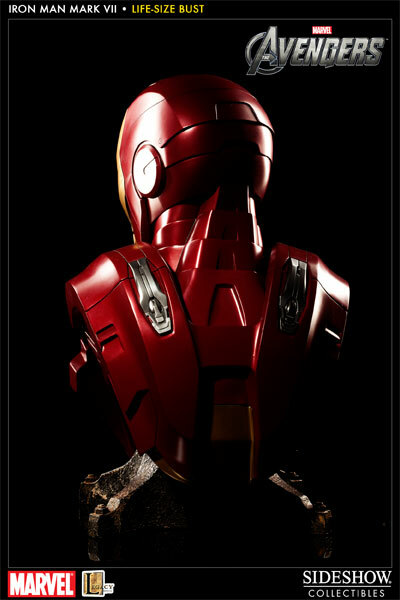 The bust utilizes brilliant LED lights in Iron Man’s eyes and arc reactor, bringing a shining light, and heart, to any display. 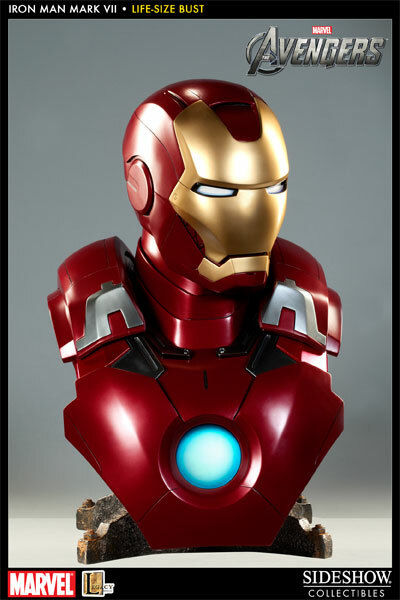 The Iron Man Mark VII Life Size bust is an incomparable addition to any Marvel Comics or Avengers collection. 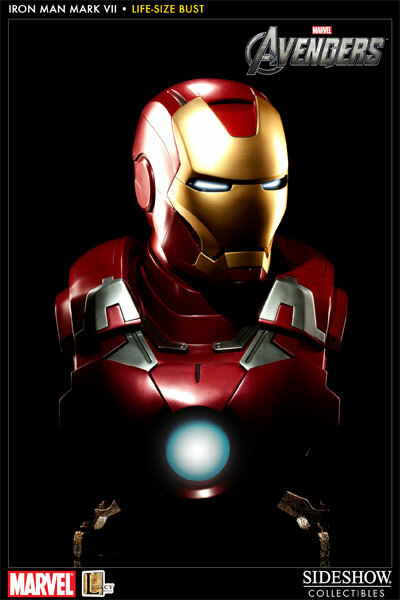 Never lacking for a clever turn of phrase, the charming and ever so humble Tony Stark has been tapped to join S.H.I.E.L.D. 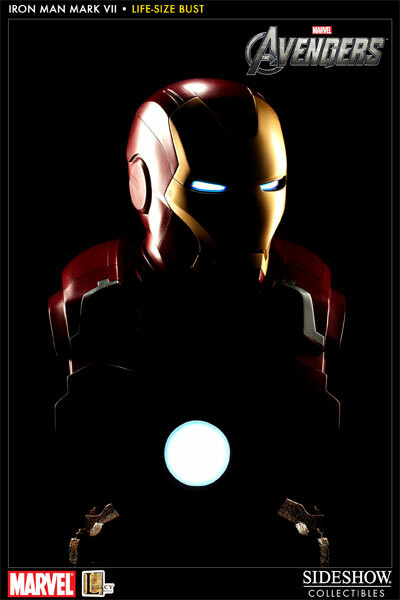 director Nick Fury’s Avengers initiative. A formidable assemblage of heroes, assassins, Hulk and demi-god gathers at Fury’s behest to face off with the maniacal Asgardian Loki. 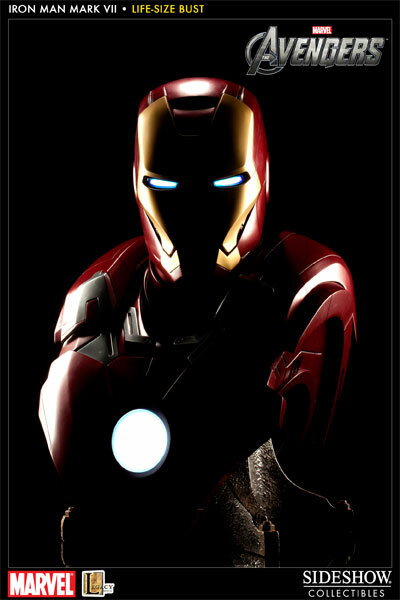 In a race to locate the Tesseract, Stark finds himself aboard S.H.I.E.L.D.’s Helicarrier, working with the brilliant Dr. Bruce Banner, and at times against the other Avengers. When Loki’s soldiers attack the vessel, Tony Stark and Steve Rogers put aside their differences to keep the Helicarrier in flight. 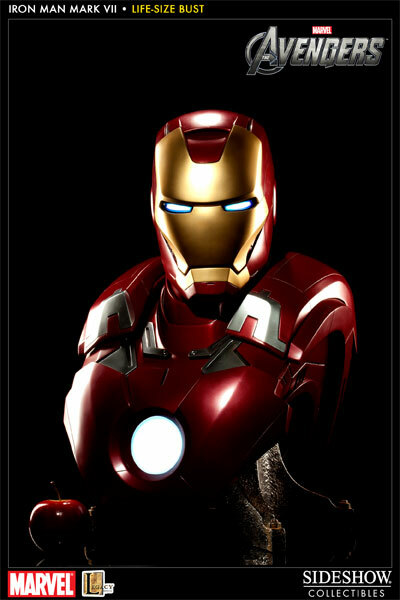 Tragically, S.H.I.E.L.D agent Coulsen doesnt survive, but his death at the hands of Loki proves to be the very catalyst needed to pull the Avengers together. 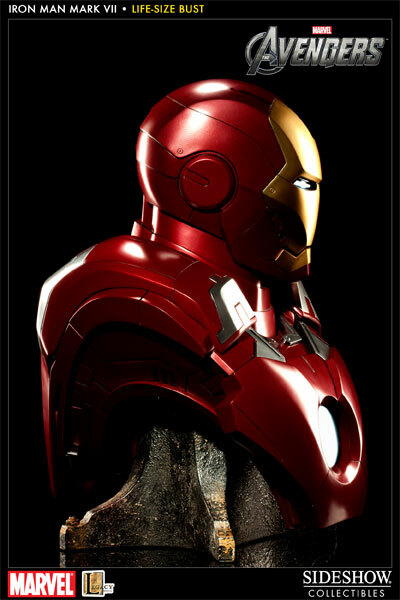 Meanwhile, Loki is headed for the grandest stage possible to wage his abominable war, Stark Tower in New York City. In a spectacular confrontation, Stark lays out the impending battle for an enraged Loki, and forces Loki to ask himself, can the Avengers defeat an army? 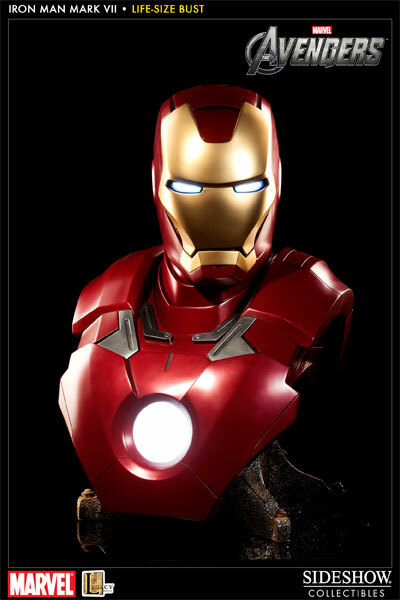 Always with a flair for the dramatic, Stark is thrown out the top floor window of Stark tower and while rapidly plummeting towards the pavement activates his newly developed Mark VII armor, taking off into the sky, unharmed. 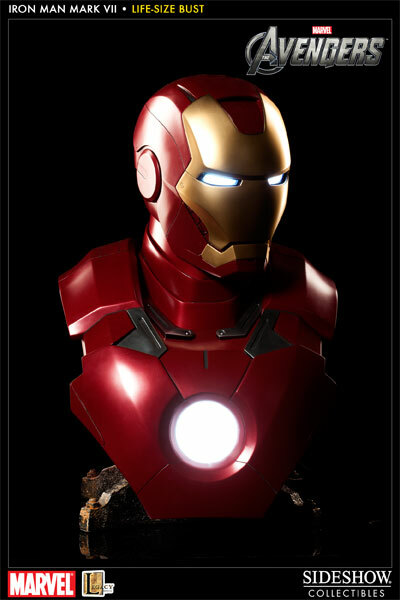 Toy Garden and Toywiz Malaysia will be taking preorder for this figure! 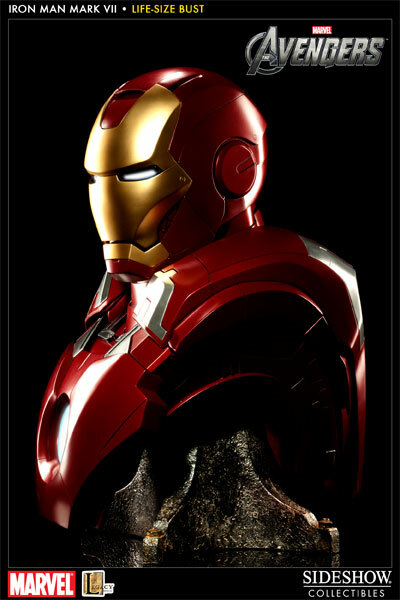 Preorder now to enjoy special price of RM2480 and a deposit of RM300 is required to place order!